Achieved through sound design of efficient building systems; including water source heat pumps, heat recovery, water conserving fixtures, and daylighting controls; an enhanced building thermal envelope with continuous air barrier systems, solar shading, and high performance glazing; and the careful detailing of interfacing facade components combined with the Owner’s building operations and energy management planning has contributed to the George L. Catrambone Elementary School’s EPA’s ENERGY STAR Certification! A true testament of the school’s performance! 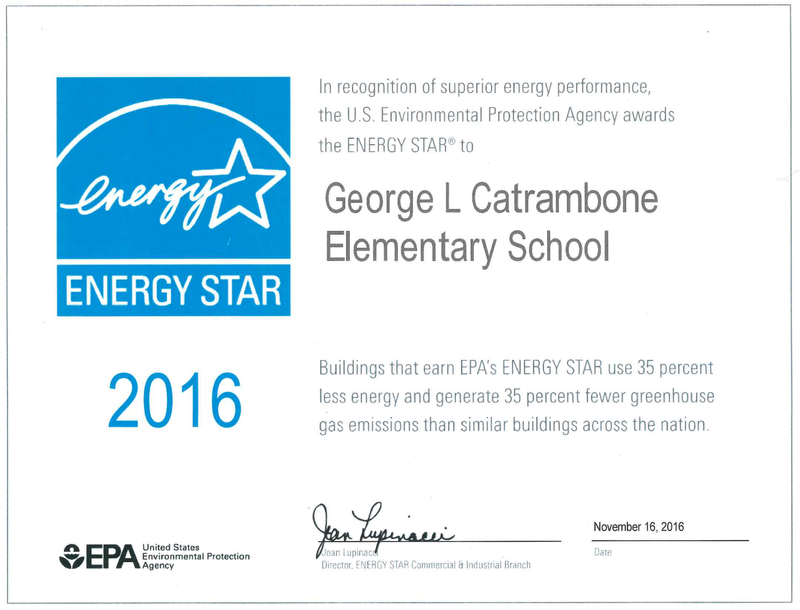 This entry was posted in Building Envelope, Education and tagged Building Envelope, Energy, Energy Star, EPA. Bookmark the permalink.